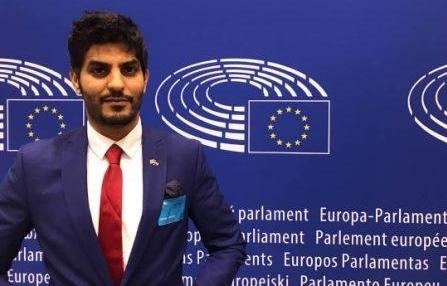 Brussels – The President of British NGO Adala UK, Sidi Fadel, concluded a visit to Belgium last week where he met with MEPs from across the political spectrum. During these meetings he discussed the ruling of the ECJ that invalidated the trade agreement between Morocco and the EU, stating it could not apply to Western Sahara, given that the territory is ‘distinct and separate’ from Morocco. Adala made it clear that any decision which attempts to include the waters of Western Sahara in any future agreement should be negotiated with the Polisario Front. This is the only means by which to uphold the decision of the court, which stated that consultation with the Saharawi people was necessary. Mr Fadel also noted that “Saharawi resources, which rightly belong to the Saharawi people, cannot be controlled by any foreign country; not Morocco nor the European Union, because Western Sahara’s land does not fall under either of their sovereignty”. Mr Fadel highlighted that instead of exploiting these natural resources, they should be preserved, arguing that from the start, the European Commission and Morocco have ignored the court ruling and international law with the intention of selling off Western Sahara’s resources. This has involved a series of policies of illegal means and an agreement that was made without consulting MEPs. The Adala UK President, reminded those with whom he met, that Western Sahara has been occupied by Morocco since 1975 and according to international law is a country awaiting decolonisation. Western Sahara is one of the territories looked after by the Fourth (Special Political Decolonization) Committee of the UN General Assembly. According to the Fourth Committee, the current situation in Western Sahara stems from the war that took place between Morocco (the occupying power) and the Polisario Front (representative of the Saharawi people) between 1975 and 1991. In 1991, armed conflict ceased under the proviso that the international community would organise a referendum of self-determination to enable the Saharawi people to decide their future. Taking all of this into account, Mr Fadel argues that the EU’s role must uphold international legitimacy and not further complicate the situation by violating international law and plundering natural resources of a people who are not able to enjoy their self-determination, nor their independence. Regarding the matter of bringing benefit to the Saharawi people, which is noted in the proposed new agreement, Mr Fadel notes that the decision of the ECJ is clear and stated that the Saharawi people must be consulted, and the Saharawi people are represented by the Polisario Front. Mr Fadel underlines that the only legal requisite to apply the agreement to Western Sahara is to get the agreement of their representative, the Polisario Front. Mr Fadel pointed out that “despite the fact that the ruling of the court was clear that any agreement with Morocco that included Western Sahara could not be legitimate, we must not forget that the EU has stated in previous agreements with Morocco that Western Sahara has always been a subject of discussion between the EU and Morocco. Human rights and democracy by virtue of the EU-Morocco Association Agreeement, particularly Article 2 establishes that ‘respect of democratic principles and fundamental human rights enshrined in the Declaration of Human Rights is a source of inspiration for national and foreign policies for the Union and Morocco and they will be an essential element of this Agreement’. Yet our organisation, Adala UK, documentsMorocco’s systematic human rights abuses. This includes continued repression of peaceful protests for the right to self-determination and a systematic policy of discrimination against Saharawis, repression of the right to freedom of opinion and expression, persecution of activists and human rights defenders and a large number of cases of arbitrary detention which are confirmed by our organisation and by the UN Human Rights Council’s Working Group on Arbitrary Detention.